All the preceding responses are well said and true to my experiences. My understanding is that it is the responsibility of the driver to know whether or not he/she can deliver on time. The few times that I received a dispatch with too little time, I always advised my Fleet Mgr. and was usually assigned to a different load. If no other driver was available, they would have our Customer Service department re-schedule the appointment. Only one time did a receiver refuse to check me in late because, guess what, our CS people had not done a re-schedule. Before things were settled, my 14 hour clock expired and the fiasco cost me a day's pay because of their delay and me having to take the 10 hour break. Fortunately, this rarely happens, at least in my experience. As a brand new driver, it is vitally important to double check your trip plan and make certain that a careless dispatcher is not putting you in an impossible situation and you end up getting a Service Failure write up in your file. Any roehl drivers recommend a fleet? Sounds like you are on the right track. During my 15 months with Roehl, I was based out of the Dallas (Grand Prairie) Terminal which is a bit on the small side, but had amenities for staying overnight, however, no truck maintenance or refueling available onsite (there was talk at that time about bringing on some maintenance staff, so this may have changed). I ran Texas Regional for about 8 months before going into the national fleet. It's hard to get decent miles on the regional gig. Drivers OTR seemed to do well, however, and that was my experience too. 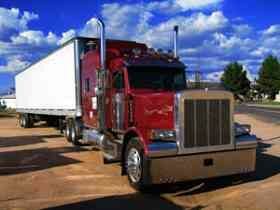 Their main flatbed operations are in Gary, IN and Phoenix, AZ. We rarely saw any flatbeds in Dallas. Flatbed pays a higher mileage rate, but mostly live loading and unloading cuts into miles. I did dry van and had probably 75% drop and hook, so you have a better chance to rack up miles as a "door slammer" like me. Roehl is a good company and treated me well. Sure, there were some exasperating times when things did not go as planned, but that's the nature of this industry. Good luck, keep a positive outlook, be cooperative and things will go well for you at Roehl. Last I heard, Maverick has only automatic transmissions which is a negative for many drivers. Also, their hiring process is somewhat lengthy and involves passing muster with a hiring committee after all of the necessary paperwork is submitted. In my experience three years ago, it was well over 30 days after application that they finally gave a decision, but I was already long gone and working for another company by then. You could see this process as either a positive or a negative. Thanks for the replies guys. As I line cook I pull about 30k. Not much but for alleasy work its not bad. I would like to match that at minimum shouldn't have a problem even with slip seating. Anyway you could give me a ball park of your earnings first year? I don't like to get into people's business but I am curious. Also where are you located? I am in Georgia and was told they have freight coming this way. I had my CDLA in hand prior to going with Roehl as a rookie driver and stayed there 15 months. You should have no problem exceeding $30K with them in your first year working full-time (their 7 on 7 off hometime is really a part-time job). Also, their Regional gigs tend to be lower mileage runs. If you get a dedicated route, you will know what to expect. However, in my experience, the OTR runs will earn you the most. One OTR driver who started with them when I did racked up 140,000 miles his first year with Roehl grossing well over $50K. So, much depends upon you and the choices you make. Roehl seems to have the freight and they treated me well (yes, there were plenty of frustrating times, but that will be true wherever you are as a driver). Their systems are proven and I never had a problem with payroll, etc. Good luck to ya! Another thought is to check into the LTL (less than truck load) companies like Old Dominion, Southeastern, YRC, R & R. Some have training programs for new drivers, but I don't know which ones as it's not something that interests me personally. They run from terminal to terminal usually pulling double trailers. One downside is the drivers typically start their day about 3:00 AM. According to what I read, the money is very good in this category. I can only give you advice from my experience being in the Army / deployed for a year. Wash the important parts when you can't get a full shower. Face, neck, pits, crotch and feet. That will at least keep you from smelling / feeling funky should you need to go a day or more without showering. Keep a couple of gallon water jugs and bulk bag of microfiber cloths with you so that you can at least make that happen in a restroom or anywhere. excellent advice, fer shur! some days just don't work out for showering. good luck to ya! International pro star or freightliner cascadia? The Cascadia(s) I have driven over the past three years have proven to be very dependable (one had a few weird electronic issues). Have not driven the Prostar, but hear they (2008-20012) are prone to breakdowns, but I do like the looks of their interiors (which does not help to keep them running!). Probably too late for you, but Maverick Trucking out of Little Rock, AR has only automatics and used to not require any prior schooling as long as you already had a CDLA. They run flatbeds and reefer vans. Yeah, at 4 months, you are past the worst part. Hang in there and stay tuned in to that gut instinct about pending situations. It takes a bit of extra time to stay out of trouble but, when you actually get into a bad situation, how much more time do you lose? So, did most of your friends also think you were crazy to change careers and become and OTR trucker? Mine didn't tell me I was crazy lol.. I never asked for their opinion, because I don't need their validation. I know I will enjoy this adventure immensely. But I will say this.. good friends who truly know me were and are very encouraging and supportive. I had a good experience with Roehl. Chad, options are great, but as OS noted, follow your heart's desire to avoid dis-satisfaction. Personally, I run a M-F dedicated, drop and hook routine and like it just fine. However, other drivers on the same gig are bored out of their minds with it and go back OTR because of the sameness. Out the gate as a rookie, I was OTR 15 months (including stranded in Chicago during blizzard Hercules in 01/14) which was quite enough for me. But, sounds like you are itching to roll coast to coast, so I say go for it. You will likely be able to change to a different gig at will with Schneider. Roehl, Prime, Schneider,Werner-----Where to go??? I had a couple of phone conversations with the TransForce office here in the Dallas area. It sounded tempting. You work for them as an hourly paid employee. It gives a driver the flexibility of changing to different companies without looking like a job hopper. I landed my present gig before deciding to go with TransForce. I would definitely consider them if and when my present job ends. They didn't tell me the names of the companies that "hired/leased" their drivers, but they had half dozen or so choices. The aspect that attracted me was, if you didn't like a particular gig, you could change to another one they had available without any negative ramifications whatsoever. For example, one job available at that time was a daily, M-F, night run from Dallas to Houston and back, dry van, drop and hook, no touch. It paid $17.00 an hour with overtime after 40 hours and was usually a 50 hour work week for a gross of $935.00. Not the best paying job out there, but it would suit some drivers just fine due to its flexibility and having off weekends. Very common for the address to be to the front door of the company, not to the shipping/receiving area and the two can be on different streets; best policy is to call the customer; often there will be a recording that gives directions; unfortunately, it's not unusual that the phone number is also wrong or to the front desk which is closed after normal business hours; welcome to trucking! Sounds like your expectations are realistic, so you should be fine. As to teaming-can't help you there much; I think some starter companies will team you up with another new driver after you get past the time with a trainer. Good luck to ya. Try to stay in the South during the winter, but when you are OTR and new to the industry, that is probably not realistic.